Last night, Global Chairman & CEO of Hill+Knowlton Strategies, Jack Martin, was honored at the Global Kids Annual Benefit in New York. 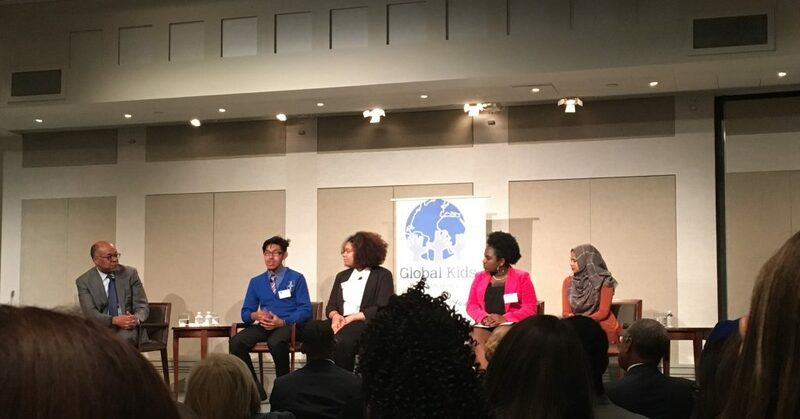 Global Kids is a nonprofit educational organization that aims to inspire and empower youth in underserved communities to achieve academic excellence, self-actualization and global competency, and to become active community leaders and global citizens through dynamic global education and leadership development programs. Young people spoke out about their experiences as participants in Global Kids’ various programs. They spoke with eloquence and awareness beyond their years, and many thanked the organization for its profound impact on the course of their young lives. From college acceptances to international travel, they credited Global Kids with the boundless opportunity they now have as community leaders and as global citizens. After hearing from these inspiring young people, Jack took the stage. 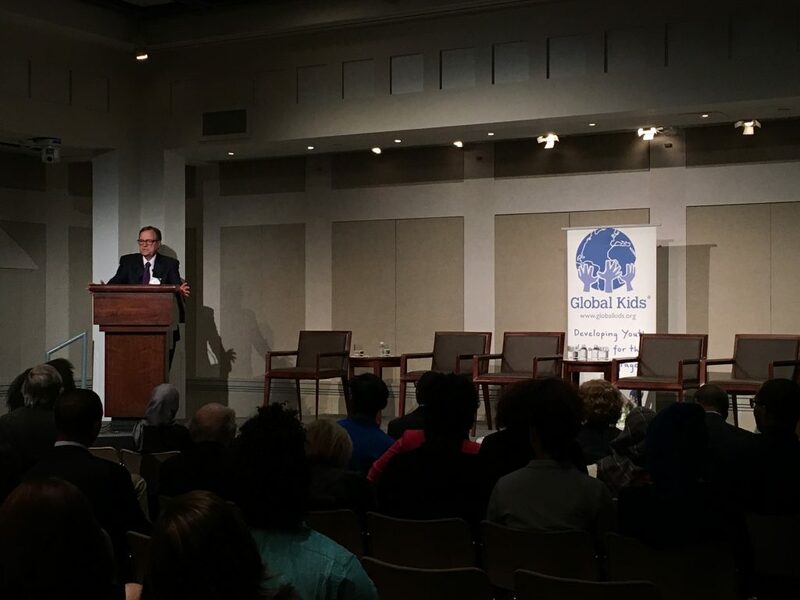 Introduced by program participant Maham Rasheda, Jack accepted the Global Kids Award and shared how his personal experiences with mentorship and global learning have deeply affected his professional and personal success. Global Kids encourages young people to learn not only about the world around them, but also how to make an impact in their schools, in their local communities, and on the global stage. Global Kids reaches over 2,000 middle schoolers and high schoolers each week in its school- and center-based programs in New York and DC, and its initiatives have a very tangible impact. In 2015, 97% of Global Kids seniors graduated high school, and 91% of those enrolled in college. The programs you have broaden the horizons for people that otherwise wouldn’t have a shot at that. Jack discussed character, aspiration and the ability for Hill+Knowlton Strategies to help not just our clients, but people around the world. Be it through supporting charitable initiatives in the developing world or participating in reading and education programs in our own neighborhoods, H+K aims to not only work for our clients, but for the global community. I have a rule about how I look at things and people. What are you doing when nobody’s looking? What kind of person are you when no one is looking? Congratulations, Jack! A truly well-deserved nod to your global service and leadership in the public, educational, philanthropic, and nonprofit sectors.